Mark Kozelek is no stranger to live records. In the last two years alone, he’s put out live albums recorded in Sweden, Australia, China, and Denmark. True, some of these releases are bonus discs available only through Caldo Verde Records. But that’s not counting earlier live material monikered as Mark Kozelek or Sun Kil Moon. Now, there’s a new release. This one was recorded in Italy in April this year. So, what’s different? Well, with one exception it contains only songs from very recent studio albums. There are six from Benji released earlier this year; two from the album with Desertshore from August last year; three from Perils From The Sea with Jimmy Lavalle from April 2013; and two from Among The Leaves from May 2012. The exception is ‘Ålesund’ from 2010’s Admiral Fell Promises, which to be fair is hardly delving deep into his back catalogue. In fact, at one point he announces that he’s going to playing a track from an old, old album. “It came out about a year and a half ago”, he jokes. 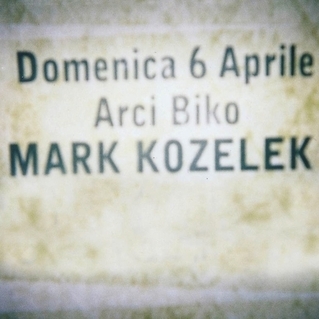 So, while the traditional cry at gigs might be ‘play some old’, Mark Kozelek has been on such a creative run of late that for once ‘play some new’ is really welcome. What’s also welcome is that it’s just him and his guitar(s). That’s nothing new for Kozelek. In fact, some of his best tracks of late have told the story of him lugging his guitars round from venue to venue, playing solo shows. ‘By The Time That I Awoke’ from Perils From The Sea, being one of the most memorable. 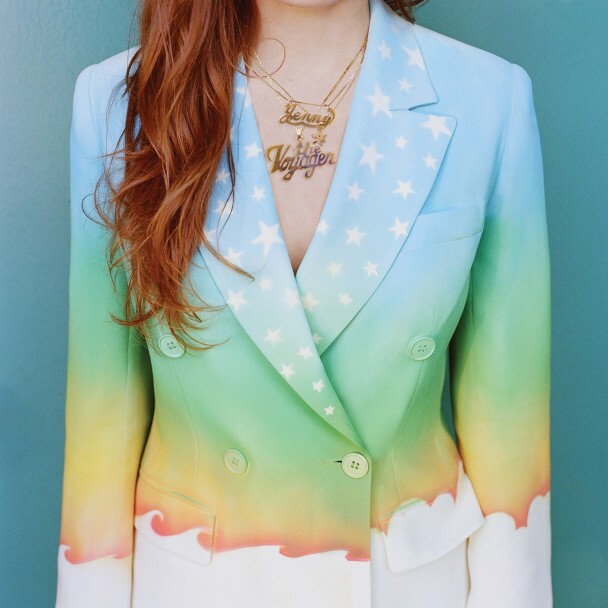 But while his gigging has been solo, his most recent albums have been mainly collaborative. So, here we get a chance to hear different versions of his new songs. Perhaps the best ones are from Perils From The Sea. There, keyboards and synths dominated. Here, songs like ‘Gustavo’ and ‘Ceiling Gazing’ maintain their melody, but come across in a new fashion. So, that’s new versions of really new songs. That’s good. Thoughtful. In the end, this album nicely captures a particularly fruitful period in Mark Kozelek’s musical life. Oh and by the way, there’s a Christmas album scheduled for release in November. In his hilarious new book, ‘Rock Stars Stole My Life’, Mark Ellen recounts how every outdoor festival in the early 1970s seemed to have been accompanied by the al fresco birth of at least one child. 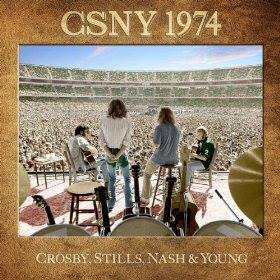 Listening to this document of CSNY’s 1974 tour, we now know why. The average concert went on for so long that a pregnant woman could have turned up in her second trimester, given birth in a specially-made hydroponic pool, and checked the child into kindergarten before the last strains of ‘Ohio’ had cleared the air. Here, the set, compiled from various stadium gigs, comprises no fewer than 40 songs, the average length of which is about six times that of a standard outing by The Ramones. Suffice to say, this is an album that should not be attempted at one sitting. Happily, though, there are plenty of tasty morsels. Most are provided by Neil Young, who was pretty much at the peak of his career at this point, writing sad songs for fun you might say. So, whereas long-time fans who regularly trawl the internet will already be familiar with multiple versions of ‘Pushed It Over The End’, unless you have the 1974 Italy-only B-side release you’ll probably be unfamiliar with this truly gut-wrenching song. ‘Love Art Blues’ was reprised on his 2007-2008 tour, but remains unreleased in the standard catalogue. ‘Traces’? Oh yes, another officially unreleased classic, which hasn’t been sung live again since this tour. Generally, the best songs here are the less familiar ones. This is definitely not the place to go for the definitive version of ‘Wooden Ships’, or ‘Love The One You’re With’, though there’s a really nice, funky rendition of ‘Almost Cut My Hair’. Reputedly, this was a tour that was undertaken solely for the money. If so, you’d think that they’d have played a one-hour set in a half-hearted fashion. Not at all. Money may have been a motivation, but you can’t fault C, S, N, or Y for trying to deliver something special. So giant was their 1974 tour that it’s part of rock and roll history. This is the definitive document of that tour. And it’s great. So settle down and get that birthing pool ready.